We have been making many tools used in the spring making machines. Our product range includes Wire feed rollers , Carbide Pitch Tools, Carbide Quills and liners, wire guides, coiling fingers , as well as mandrels / arbhors. We have many satisfied clients who are prominent OEM's to Automobile sector. 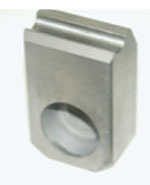 Looking for Spring Machine Toolings ?